Matilda Amissah-Arthur, wife of Ghana’s Vice President, says people must invest in themselves by buying books to read to help broaden their horizon. 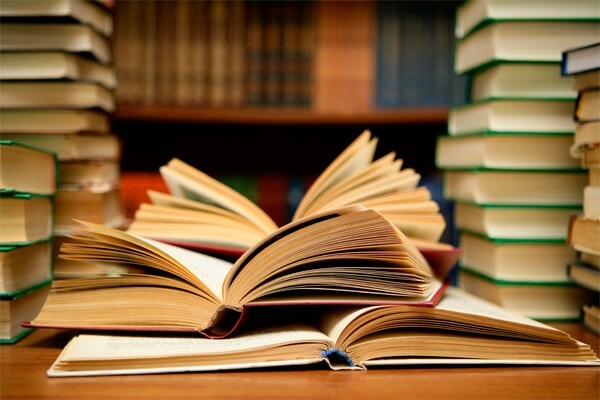 According to her, books play an integral role in the development of individuals, adding that the habit of buying and reading of books should be encouraged. Mrs Amissah-Arthur, who was speaking at the launch of the 13th Ghana International Book Fair on Tuesday at the Trade Fair Centre, La in Accra, said she was happy the event was vibrant at a time when book fairs across the continent were collapsing. “On the African continent and even in the world, the Zimbabwe fair used to be a force to reckon with but it is now gone down. The book fair in Lagos is also having problems. The Ghana Book Fair is standing but I would wish that we would explore more avenues to make it even better,” Mrs Amissah-Arthur said. This year’s fair, which was on the theme, ‘Professional Book Publishing and the services, a resource for national development,’ brought together a host of member countries of International Publishers Association (IPA). The Ghana International Book Fair was meant to celebrate the book as a major cultural tool relevant to the development of Ghana, as it is clearly presumed that without books the world would be at a standstill. The five-day event, which is expected to end this Friday, would witness workshops on editing, digital publishing rights, buying and selling and printing. The second lady pointed out that the book fair should not be limited only to those in the book trade. “I will urge all of us not just visit the fair but to ensure that we see what is there and invest by buying some of the books. How else can you read, enjoy and understand by learning how to read a book,” she added. The launch was attended by all stakeholders of the book industry in Ghana which include the Ghana Book Publishers Association (GBPA), Ministry of Education, Ghana Library Authority and Association and Ghana Book Development Council. The Ghana Printers and Paper Converters Association, Ghana Association of Writers’ Copyright Office of Ghana, were in attendance. The Moderator of the Global Evangelical Church, Rev Dr Edem Tetteh urged book publishers to take advantage of the growing electronic trend to develop more e-books, saying, “Developing countries like South Africa and Malaysia are leaving no stone unturned in embracing electronic services in various areas of operations. Ghana must not be left behind. He disclosed that most youth in recent times do not read printed books but patronize books produced electronically. “There is therefore a huge opportunity for publishers to venture into appropriate e-book production to reach the youth who are hungry to read from electronic platforms. Electronic publishing gives the author and publishers the visibility beyond the shores of Ghana,” he added.